Here’s a cheerful little wreath with woodland charm to decorate your winter home. 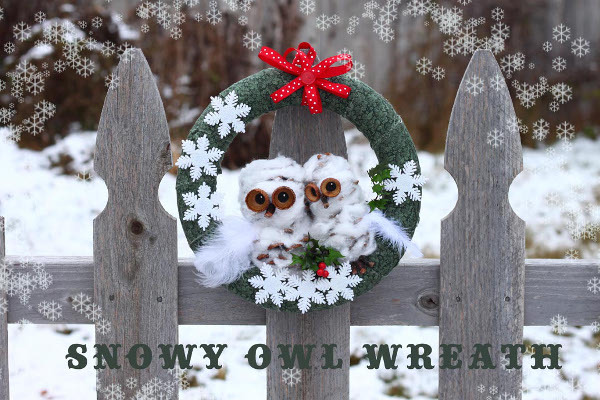 Adorned with baby snow owls, you can make this wreath simply wintery, or dress it up to make it more of a Christmas theme. Either way you go, it’s super cute and a “hoot” to make! This entry was posted in Christmas, Crafts, Holidays & Seasons, Home Decor, Winter, Wreaths and tagged Holiday Decor, Pinecones, Ribbon on December 8, 2015 by Michelle.